Almond Biscotti - Chocolate Chocolate and More! Freshly made almond biscotti is bursting with almond flavor. Nothing you buy in the stores even comes close! You’ll never go back to store bought once you make these. Becky is the pickiest eater out of my three kids. My oldest ate almost anything and even liked vegetables over fruit. My middle child loved his fruit but wasn’t so interested in vegetables. Becky somehow survived on macaroni and cheese, spaghetti, and chicken nuggets. It never ceases to amaze me how different my three children are. They’re all adults now but so very different in temperament. Matt works at a game/comic book store and loves it. He’s a huge history buff so I keep hoping he’ll go to college some day. Tim is a musician. He works at a pizza place and plays in several bands around town. Becky is my science girl. She’s majoring in applied physics and planetary science (so far anyway) and wants to be an astronaut. I first gave these almond biscotti to Becky when she was teething. She loved them then and she still does. I love the flavor. Because they are fresh, you don’t need to add a lot of almond extract. The toasted almonds also add wonderful subtle almond flavor. Sometimes the store bought almond biscotti taste harsh to me (too much artificial almond) and sometimes they’re flavorless. Now, Becky is a college freshman and I’m putting together a care package for Valentine’s Day. She specifically requested some biscotti. Triple chocolate biscotti and almond biscotti to be exact. 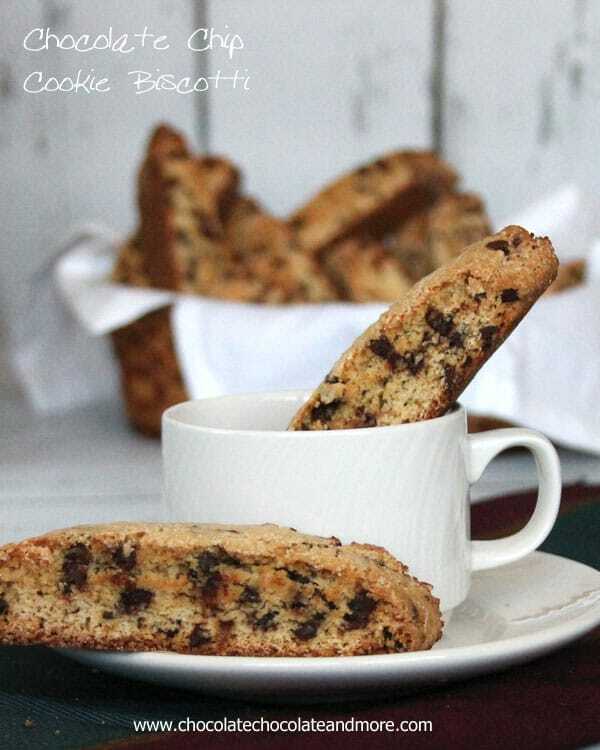 Biscotti are basically a dry, quick bread so they’re very easy to make. I just put all the ingredients in a bowl and mix by hand. The dough is sticky when you’re done so flour your hands when you shape it into a loaf. You bake biscotti twice. The first time you bake it into a loaf. Then you slice the loaf and then you toast the slices. Now, here’s the lazy way to toast your slices. Heat your oven to 350°F, put the pans of slices in and turn your oven off. When the oven is cool, the slices are done. Nothing could be easier! Biscotti keep very well in a sealed container. You can also freeze the dough if you want to make some fresh at a later date. I roll mine into the log first, wrap it in freezer wrap and then freeze. When I’m ready to make it, I thaw it on a cookie sheet, flatten and bake. Preheat oven to 350°F. Spread slivered almonds on a baking sheet and toast in the oven until lightly browned. Combine dry ingredients in a medium sized mixing bowl. Make a well in the center and add all the wet ingredients in the well. Stir until well blended (you may need to knead the last of the dry ingredients into the dough). The dough will be sticky. On a greased cookie sheet (or one lined with parchment paper), form the dough into a 16" roll. Flatten the roll to 1" thickness. Bake at 350°F for 30 minutes. Cool loaf on a wire rack for 10 minutes. Slice diagonally into ½ inch slices. Place slices cut sides down on cookie sheet. Bake at 325°F for 10 minutes and then turn cookies over. Bake another 10 minutes. Cool. If you want a no fuss way to toast the biscotti, set the oven to 350°F. Put the trays of biscotti in the oven and then turn it off. When the oven is cool, the biscotti are toasted. You can also freeze biscotti dough after you form it into a roll.